Welcome to the 2018-2019 School Year at Colham Ferry Elementary School! I am honored to serve as your principal of CFES! I am so proud of all of the accomplishments and accolades gained during the past two school years, especially receiving Georgia STEM Certification from the Georgia Department of Education! 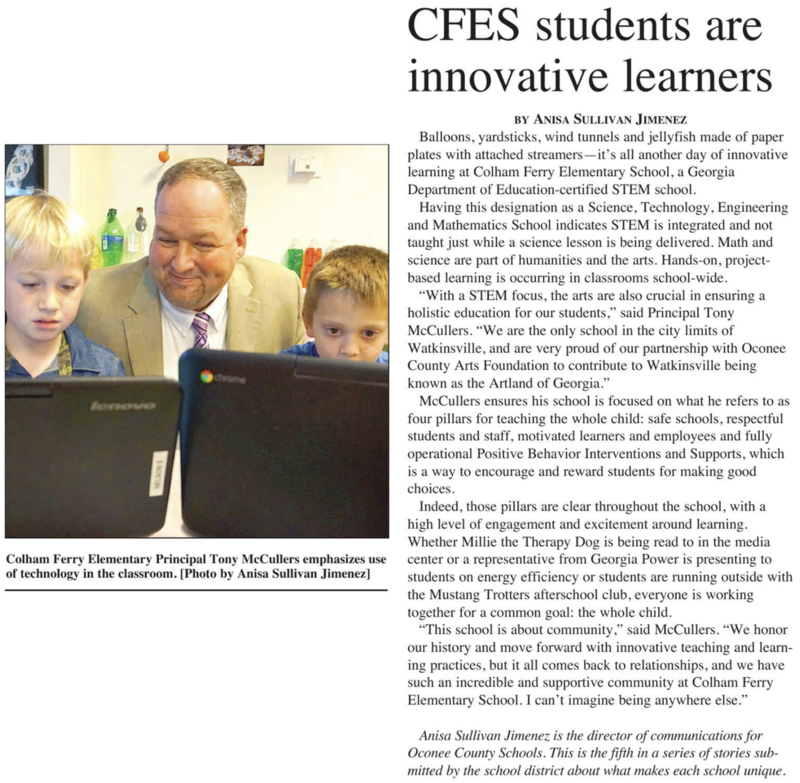 I am a firm believer in the "3 Rs" for student success at CFES. Rigor - The CFES staff will focus on each student's individual needs and tailor their educational experiences to achieve positive academic growth. Students will be challenged but given freedom for innovation and inquiry. Relevance - Through our STEAM and Career Lessons, CFES students will experience the standards while exploring how they relate to real-world applications. Relationships - While the learning of mathematics, science, reading, and social studies is vital for academic success, CFES also embraces positive peer and adult relationships to develop the "whole child." I encourage you to explore our website for information regarding upcoming events and major school announcements. You will also find informational pages for each of our grade levels and programs. I am excited to see what this school year holds for Colham Ferry Elementary School. Thank you for your continuous support!